France President Francoise Hollande has announced that he will not run for a second term in office. The 62 year old President who had been very unpopular among the French made the surprise move on Friday to become the first sitting president not to seek re-election. “I’ve decided not to be a candidate to renew my mandate,” the Socialist leader said in a live televised address. 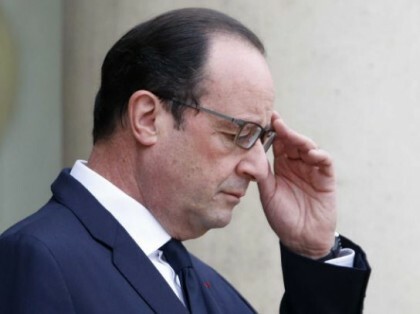 “In the months to come, my only duty will be to continue to lead my country,” Mr Hollande said on Thursday. “The World, Europe, France have faced particularly serious challenges during my mandate. In these particularly challenging circumstances I wanted to maintain national cohesion,” he said. Hollande was making reference to the deadly attacks in Nice in July and Paris in November 2015 and the shooting at Charlie Hebdo magazine. Mr Hollande added that he was aware of the risks of running and warned of the threat from the National Front. A former Economy Minister, Emmanuel Macron, described the move as a “courageous decision”. Macron is also gunning for the French Presidency as an independent candidate. Mr Hollande’s decision not to stand now opens up the Socialist party contest in January. Prime Minister Manuel Valls is likely to be favourite to win the candidacy, having said last weekend he was ready to run. Mr Valls described Mr Hollande’s decision not to run as “the choice of a statesman”. Last weekend, more than four million French voters chose Mr Fillon, a former prime minister, to represent the Republicans in the two-stage presidential election in April and May next year. Polls suggest that Conservative Republicans party candidate Francois Fillon would be most favoured in the election closely followed by contender Marine Le Pen from the National Front. Hollande was elected as President of the French Republic in 2012 and was inaugurated on 15 May 2012. He was previously the First Secretary of the French Socialist Party from 1997 to 2008,the mayor of Tulle from 2001 to 2008, and the President of the Corrèze General Council from 2008 to 2012, before contesting for the position.